Prepping for a move is hard work. Back while we still lived in Evanston I spent so much time packing that I didn't have a lot of time to craft. BOOOOOO! I decided to take a packing break and make a little applique. 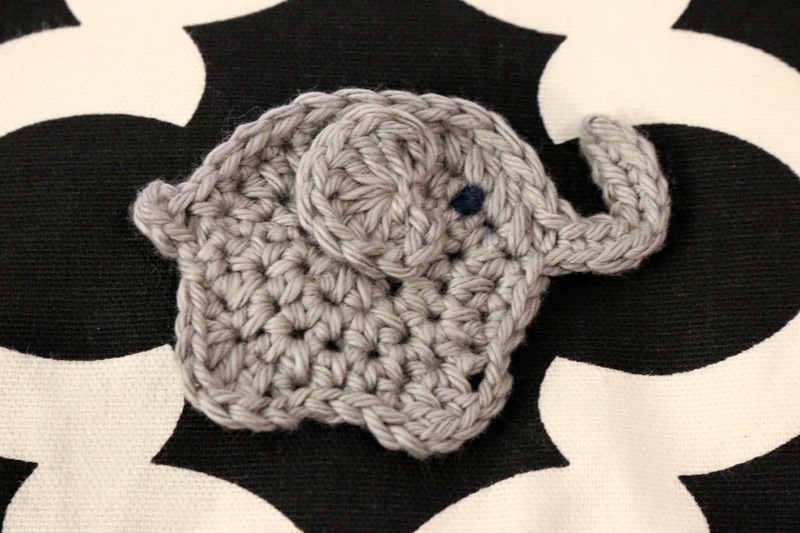 E is for Elephant is a darling little pattern. I love how the ear is a second attached piece. 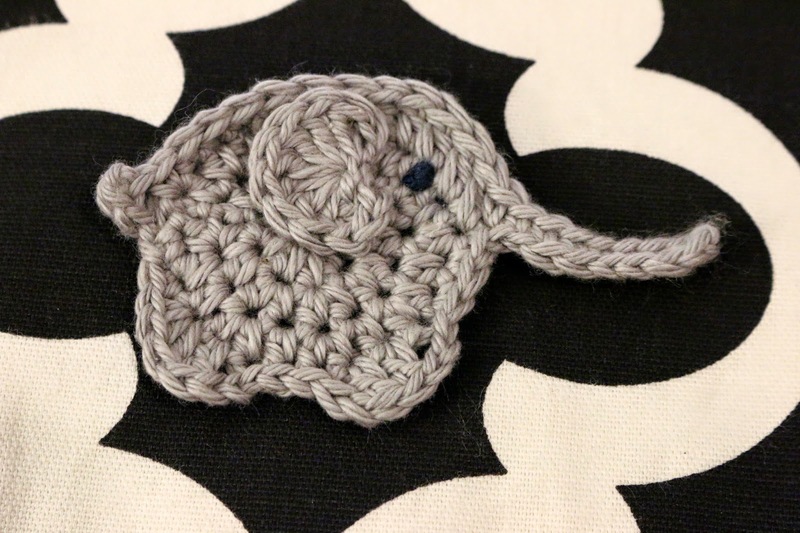 I used a size E (3.5 mm) crochet hook and KnitPicks Comfy Worsted in Whisker (3 g, 6.5 yards) for the elephant body and Planetarium for the eye french knot. 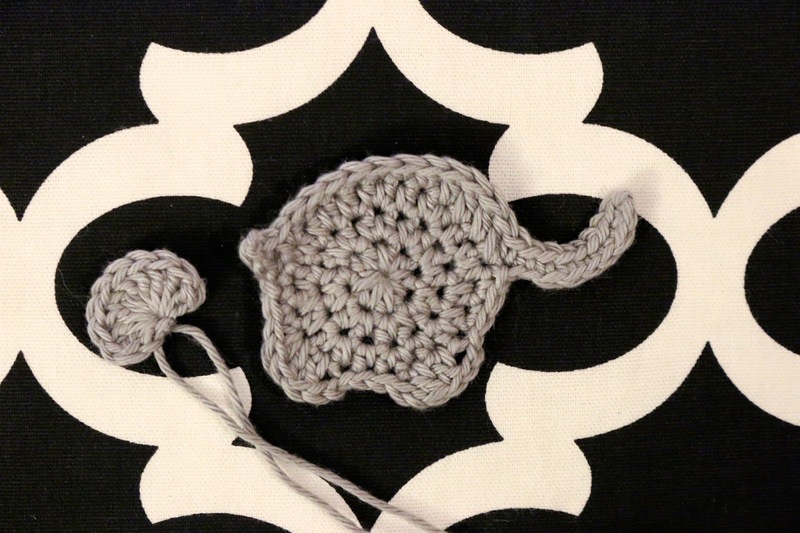 It felt SO good to pick up a crochet hook and some yarn and create something darling. Why bother making appliques if there is nothing to add them too? I suppose I don't see a problem having a bunch of random appliques laying around. They can always be added to a simple baby hat to make it extra special. Having some of these embellishments in my knitting box may inspire me for other projects. A tiny bit of blocking was all that was required to get the trunk to stand up at attention. Isn't he darling? What would you put him on?